Home > Sports > Power kick! 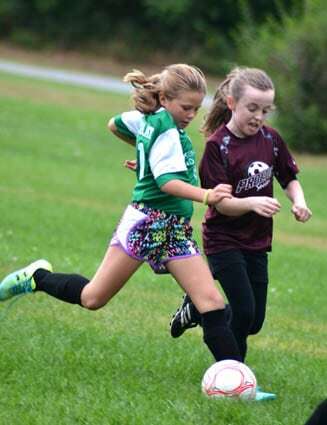 Sophia Nisimblat (left) from Killington Elementary School edges out a rival Proctor Elementary School athlete. The KES 3rd and 4th grade soccer teams took on Proctor Elementary School Monday night, Sept. 14, at the Meadow Street fields in Rutland. The Killington girls team took home the win for their second game of the season.